Yasin karim Apr 02 2019 8:20 pm Prettiest smile, beautiful legs ! Brilliant actress ! said Feb 17 2019 3:18 am find strength! that's not your fault if the drama going to mountain. you did you best. I'll keep watching because of you. hwaiting! Pbb Nov 13 2018 8:41 pm This girl is really pretty! Her visuals are on a whole other level. Her smile is really cute as well. 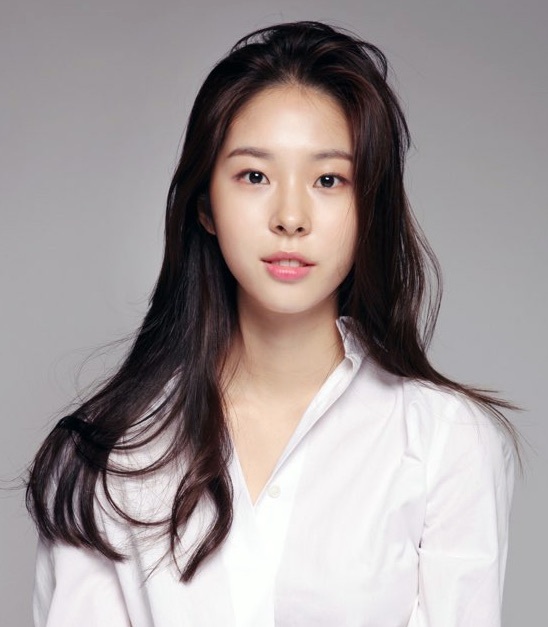 shay Nov 13 2018 6:30 pm Seo Eun-Su was amazing in 'Duel' alongside Yang Se-Jong, she's one of my fav new actresses!!! Jinsu Oct 12 2018 12:55 pm I like her she is really cute. TheWhistlet Aug 13 2018 1:20 pm You've come along way baby! In two years you have risen fast. Looking forward to your new drama in September, "The Smile Has Left Your Eyes." sul Apr 19 2018 12:37 am i like her vibe, but i still don't think her acting is very good. still liked her in 'my golden life' nevertheless and anticipating more work from her & hoping to see improvement! Khine Mar 18 2018 12:10 am The one I like most in My golden life is you,Seo Ji Soo! hmmm? Mar 16 2018 7:20 am hi eun su!!! i know the cast of MGL will rest for a while after working so long and hard... so, hopefully your next project will be like Duel - intense and serious that will require all your acting skills to come out lols... and of course a love line too.... i know you can act whatever the character requires you to..
Dahnia Feb 16 2018 9:52 pm The only one who keeps me watching mgl is ji soo. Hope you're gonna be a lead female in your next project. Luv u seo eun su. - Feb 16 2018 10:23 am i hope you be the female lead in " something about us "kdrama ! TheWhistler Jan 27 2018 8:34 pm Can't wait to see you as the lead in a drama. Good work! lesle Jan 06 2018 7:19 pm REAL TEARS! Seo Eun-Su cries real tears in My Golden Life, episode 35, beginning @ 23:10. Most impressive. nmts Dec 27 2017 12:21 am been knowing her since jealousy incarnate but only can see her skills in this 'my golden life'. love her in the drama. she can portray the innocent character there very well. i keep smiling watching her throughout the drama and i love her character's positiveness facing all the problems in her life. i'm gonna follow her next project too. Loulon Dec 21 2017 2:44 pm Seo Eun-su is very beautiful and tall, look like a model. Love her acting as a rebellious daughter to Choi family. Fighting! Hope to see her as a lead actress very soon. Kellien Dec 21 2017 8:58 am Very innocent look but have a bright futures ahead. Hope to see her shine and become a main actress. Bob Dec 17 2017 12:31 am She is AMAZING in My Golden Life. I think this is my first time seeing her act, but I will for sure check out her other roles. I absolutely love her in My Golden Life. Now as for some people saying bad things about the drama My Golden Life, well they have their opinions and frankly, I think those opinions are not well thought out. This drama is very good, and the ratings back that up. If you don't give this drama a chance, you are missing out! TheWhistler Dec 16 2017 3:52 pm Only reason I go anywhere near 'My Golden Life'. I browse through it to see her scenes. The story is a comple soap opera, done millions of times before. The rest of the charactors are absolutely a waste of time. Seo Eun-soo can do better and I hope somebody realises that soon. Mitsuki Oct 27 2017 10:40 am I really like her acting. I am from Czech so i am leave on KBS streaming. Another streaming is not open in my country so i hope she will be more at KBS youtube channel. Keep the good work! Oh Beans Jul 17 2017 9:53 am I'm really enjoying her presence in Duel!! I think I'm becoming her fan. Though, her follow-up drama "My Golden Life" seems boring. cassiopea May 24 2017 6:52 am OMG she's working with Do In Beom in Duel! I hope I can watch the drama soon. Rock4Life Jan 22 2017 7:34 am Wow she got better role now, hope she can become second lead at least for next drama. Her visual is good, and her acting is not bad either. harikurkur Dec 23 2016 11:13 am her face so natural and her teeth so cute?? ?